Published by Champlin Fighter Museum Press. Revised edition 1983. 176 pages plus photographs. This book was published in the UK by William Kimber with the less obscure title of ‘Mustang Pilot’. 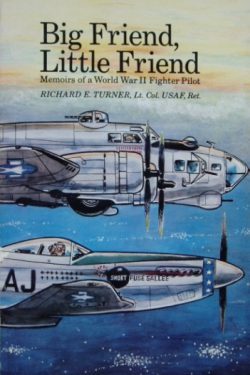 Heavy bombers were known as ‘Big Friends’ and the fighters of the escorting Pioneer Mustang Group were called ‘Little Friends’. Fine condition card cover book. Clean, tight and bright; it feels unread. 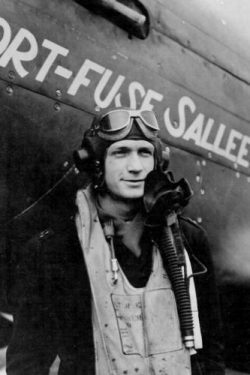 A 12 victory Ace with 354th Fighter Group, Colonel Turner vividly describes flying and fighting in his P51 ‘Short Fuse Sallee’. 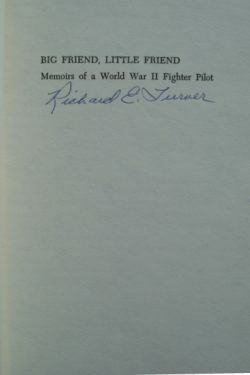 Richard Turner became the CO of the 356th FS in 1944 and also flew in the Korean war. A lovely copy of this very scarce signed autobiography rarely seen on this side of the Atlantic.